We are pleased to announce the RIDE FOR HEALING; a week long event that will start on May 27, 2013 and end on June 2, 2013. The week begins on Memorial Day with a ceremony at the Minnesota Vietnam Veterans Memorial. Motorcycles and classic cars will leave St. Paul and travel to all four corners of the state. 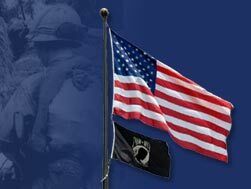 Vietnam Veteran recognition rallies will be held in over sixty (60) communities over a four (4) day period. On May 31, 2013, the four teams will ride into the Brainerd Lakes area for two days of events. These events will be hosted by the Brainerd Lakes Area Convention and Visitors Bureau, Cragun’s, local hotels, restaurants and the Department of Minnesota Veterans of Foreign Wars. Various entertainment events are planned at Cragun’s, Crow Wing County Fairgrounds and other sites. The center of attention will be the AVTT Traveling Wall, a replica of the National Vietnam Veterans Memorial. There will be a special recognition ceremony at the fairgrounds on June 1, 2013, which will feature some ‘special’ guests. On Sunday morning, the week will end with a Prayer Service at the AVTT Traveling Wall broadcast live on Military Radio Hour.